What is the yellow background on some questions? Some questions have a yellow background to them, what is the meaning of this? 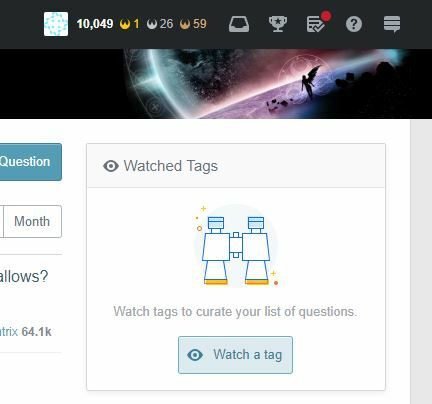 The background color that you see is to show that the question contains a tag that you have selected as a "watched tag". 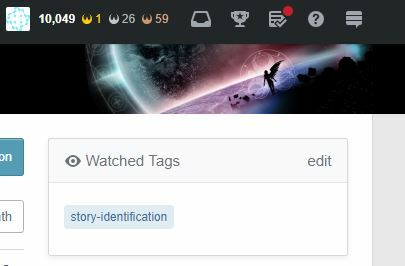 Based on the tags on the questions that are highlighted in your screenshot, it appears that the watched tag in question is story-identification. 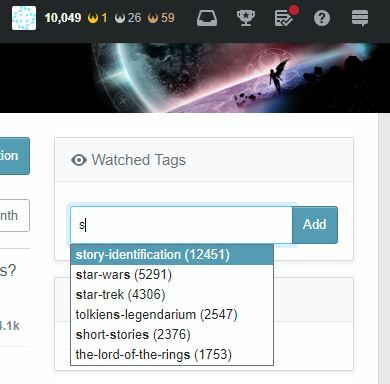 Simply find the tag you want and click the add button. You are now back to the beginning. 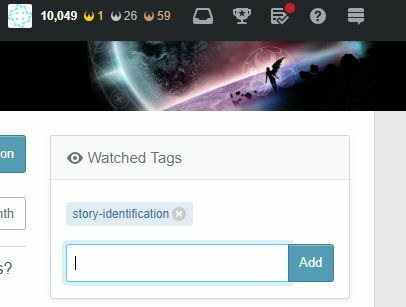 Note that if you never clicked out of the "Watched Tags" box after adding the tag, you won't need to click the "edit" button in order to be able to remove the tag. 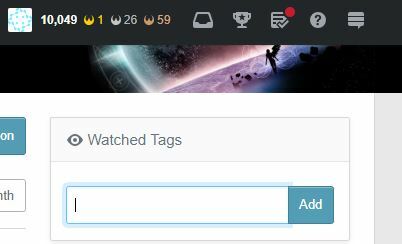 You will already be presented with the tag icon having the "x" on it, so you can remove it right away. 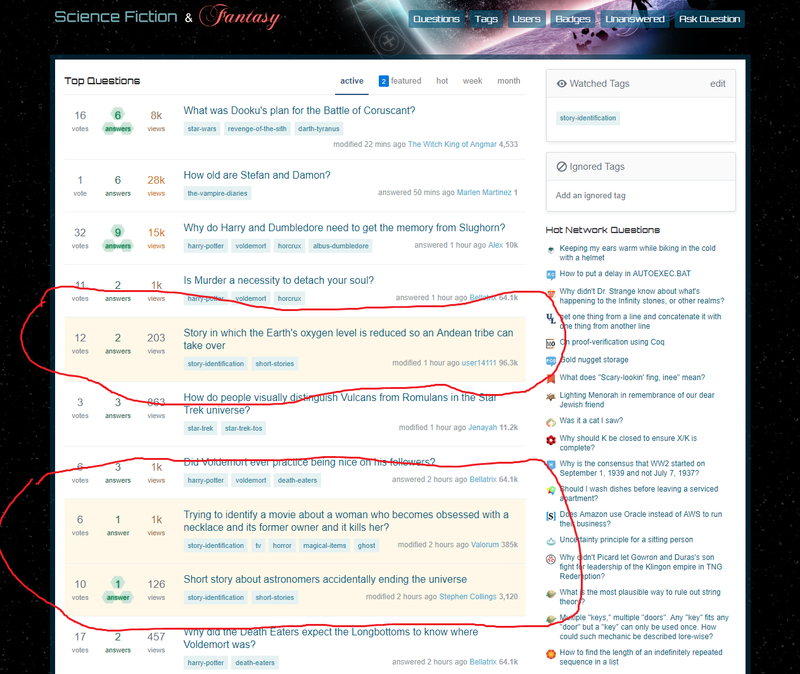 How to view who is favoring the questions one has asked? What is the modal popup background design? What is the name of creature drawn above Ask Question? What just happened to the Teletubbies questions? I noticed the tools for promotion, tweets, Facebook and G+ are missing. What happened to them? What happened to the hats? What to do with flags which are valid but not for earth-shatteringly bad content? When does the system show flag review screen? 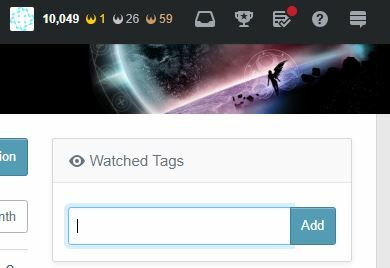 What does the background color of a badge mean?